UW- La Crosse was once a smaller school that went by a different name. 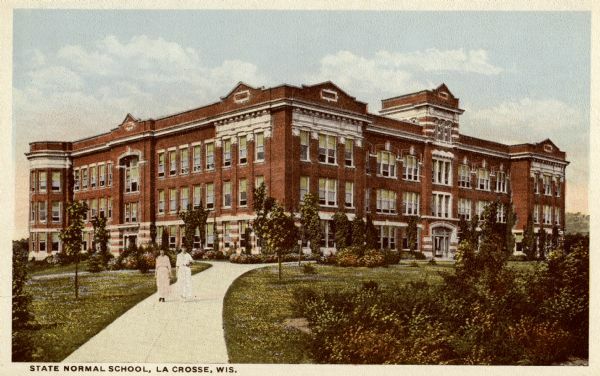 The original school, La Crosse Normal, was originally a training school for prospective teachers. 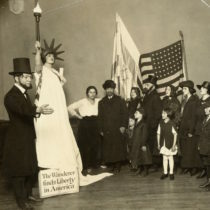 It opened on September 7, 1909. Parts of the Normal school can still be seen on the UW-La Crosse campus, though they can be difficult to spot. The Normal school was in the building that is now known as Graff Main Hall. 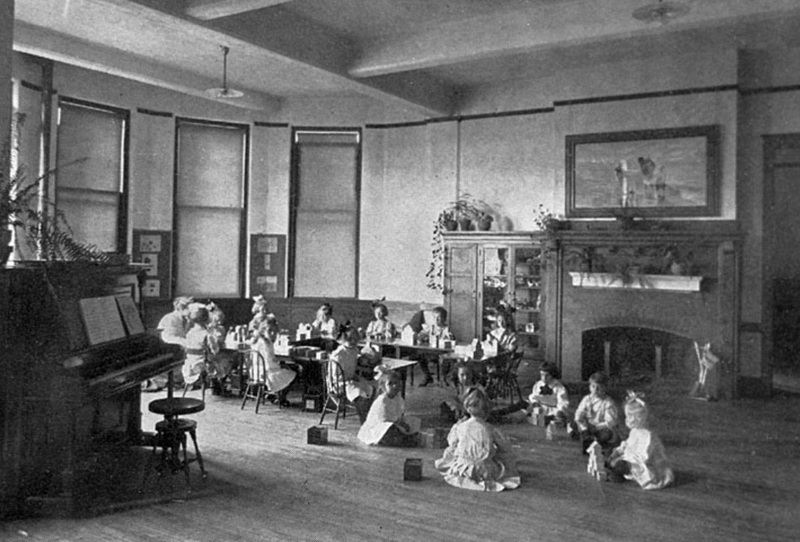 La Crosse Normal was a model school that consisted of a kindergarten as well as grades 1-6, and in the room designated for the kindergarten class, stood this fireplace. The original fireplace of the La Crosse Normal school helps tell the story of education in Wisconsin at the turn of the century. The La Crosse Normal school in 1909. Image courtesy of the Wisconsin Historical Society, image ID 36313. The fireplace was made from different shades of brown brick and designed in the arts and crafts style. When the room was still a kindergarten, the fireplace was used for storytelling. In the image below, we can see a real stuffed animal, which was possibly a fox, on the mantle, and a large lithograph of children playing on the seashore as well. 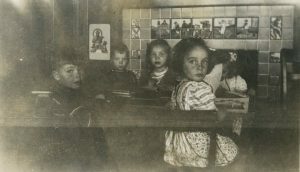 The first kindergarten teacher at La Crosse Normal was Miss Clara D. Hitchcock. She taught from the opening of the school in 1909 until 1915. The fireplace is in good condition today, but the room it occupies is no longer a kindergarten. Now, it is the Chancellor’s office. 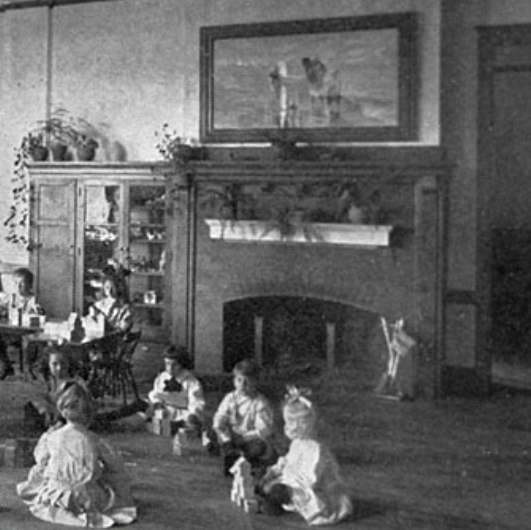 Children in the La Crosse Normal school model kindergarten sitting before the fireplace. 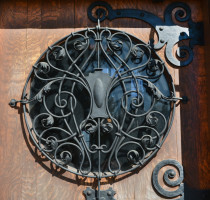 Image courtesy of Leslie Crocker, “We’ve Hung the Lanturn,” (2013) pg. 33. 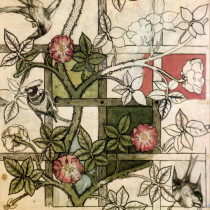 The Normal school was created as a place for men and women who wanted to become teachers. 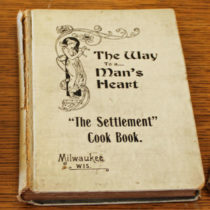 Normal schools were created to help develop professional educators able teach the future generation of Wisconsin workers; workers who wanted to leave farming and go into manufacturing or industrial jobs. The first Wisconsin Normal school to be built was in Platteville in 1866. In total, there were eight normal schools built across Wisconsin between 1866-1909. The school in La Crosse was the eighth. The purpose of each Normal school was to instruct and train persons, both male and female, in the theory and art of teaching and in all the various branches that pertain to a good common education. 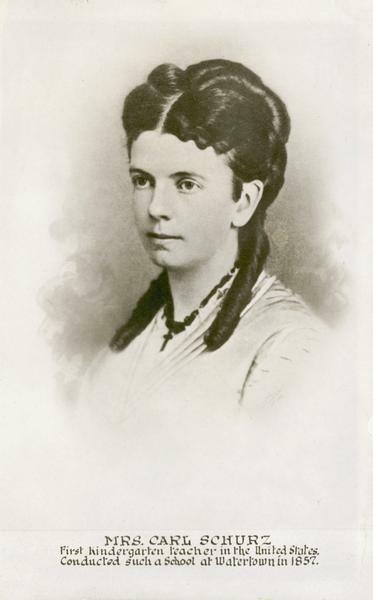 Margarethe Schurz opened the first kindergarten in the United States in Watertown, WI. Image courtesy of the Wisconsin Historical Society, image ID 4681. The kindergarten where this fireplace was once located was part of the model school at the La Crosse Normal school. 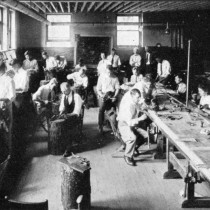 Normal schools included model schools where their students could learn see professional teachers and educational theory at work. Model schools also offered new teachers a place to student teach. This was done to prepare teachers for the actual problems and conditions that they would face in the classroom. Future teachers might have once observed Clara D. Hitchcock reading to her students before the fireplace. Enrollment in the La Crosse model school was limited: 45 children were accepted into the kindergarten and 15-20 students for the other grades. The openings filled quickly, and the only enrollment requirement of the students was that they must be mentally and physically sound. The cost to enroll a student in kindergarten was 25 cents per week and 15 cents per week for all other grades. As the years progressed enrollment in the La Crosse Normal model school grew, which caused discussion about building another facility that would be mainly a training school. The proposal for the new building was accepted in 1931. Meanwhile, the La Crosse Normal school was renamed the La Crosse State Teachers College in 1926, and in 1964 became part of the Wisconsin State University System. Fireplaces were common parts of kindergarten classrooms in the past. Here, several students from Rheinlander read before a fireplace in 1939. Image courtesy of the Wisconsin Historical Society, image ID 72415. 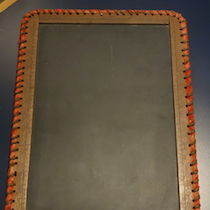 Object history written by Anna Kankel. Object history created September, 2018.